If 2015 is anything like 2014 we can expect a wild ride. Oil price volatility – including its downward trend – will linger well into the first and second quarters as global production persists and key conflicts in Eastern Europe and the Middle East show no end. For its part, the United States is better positioned than most – the US is poised to carry the global economy in 2015 with projected GDP growth of 3.1 percent. However, converting this potential into meaningful energy trade and/or soft power is another matter altogether and 2015 offers limited opportunities. US production has shown no signs of a significant slowdown and the Energy Information Administration predicts growth in 2015 – approximately 700,000 barrels per day. Despite the collapse, prices remain high enough to support the most vital development drilling activity in the Bakken, Eagle Ford, and Permian Basins. The rig count is declining, but data from the 2008-09 recession suggests a drop in production will not be so dramatic. 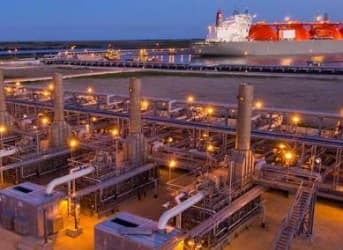 Perhaps in anticipation of greater volumes, the Obama administration and the Department of Commerce clarified existing regulations and opened the door for increased US exports last week – up to one million barrels per day (mbpd) of ultra-light crude oil. The exports will expose producers to more lucrative markets abroad and may further narrow the price spread between Brent and WTI. But who’s buying? Among the most interested parties is the European Union (EU). Let’s take a quick glance at their current energy situation. Liquids consumption is expected to decline 0.14 mbpd this year after falling in both 2013 and 2014. Not great news, but holes in the market are opening. Russian crude exports to the EU are down more than five percent from a year ago as President Vladimir Putin pushes more and more crude toward China. Moreover, OPEC crude to Europe is also down nearly 4 percent, placing more pressure on the EU’s declining domestic fields in the North Sea. While not a complete fix, US crude represents a functional stopgap measure. However, it’s not simply a matter of ask and you shall receive – there remain some barriers to settle. First, the Transatlantic Trade and Investment Partnership (TTIP) – TTIP is a proposed free trade agreement between the EU and the US. Negotiations began in July of 2013, but a consensus is still not on hand. Of note are the provisions surrounding energy. The EU wants freer access to US energy and raw materials; demands that have been met with mixed emotions in the US. The agreement’s ability to facilitate oil, and perhaps more so LNG, is pending its approval, but most importantly TTIP – as the EU envisions it – represents a chance for a more liquid and flexible global commodities market. With or without TTIP, commodity prices will define energy trade between the two global superpowers. They’re still low, but it’s not all bad news. Current futures trading suggest both Brent Crude and West Texas Intermediate (WTI) will rebound in excess of 10 percent toward year’s end. This situation of contango adds some urgency and presents exporters and traders with another incentive to lock up futures contracts now. For forward buyers, it’s a decent hedge against the wildly uncertain markets. The EU has demonstrated a willingness to take advantage of gas contract differentials, but a surging dollar – which is at an 11-year high – reduces demand for dollar-denominated oil and gas. 2015 may provide answers to these problems, or render them more complicated than ever before. In any case, low prices and looming recessions across the globe afford the US a golden opportunity to exert its weight and perhaps help some friends along the way. Russia and Iraq won’t wait long however, and continue to pump more oil than they have in decades. If the money doesn’t line up for US oil and gas, budding nuclear relationships deserve a further look. Excellent article, I have to disagree on the US being able to carry the global economy in 2015 with projected GDP growth of 3.1 percent. The market is a look into the future six months out. The declining prices are a gauge into the economy, similar to the past with gold and the gold standard. Now currencies are on open printing presses run by the Fed's and Central Banks, so oil has become the worlds benchmark for an economic standard.